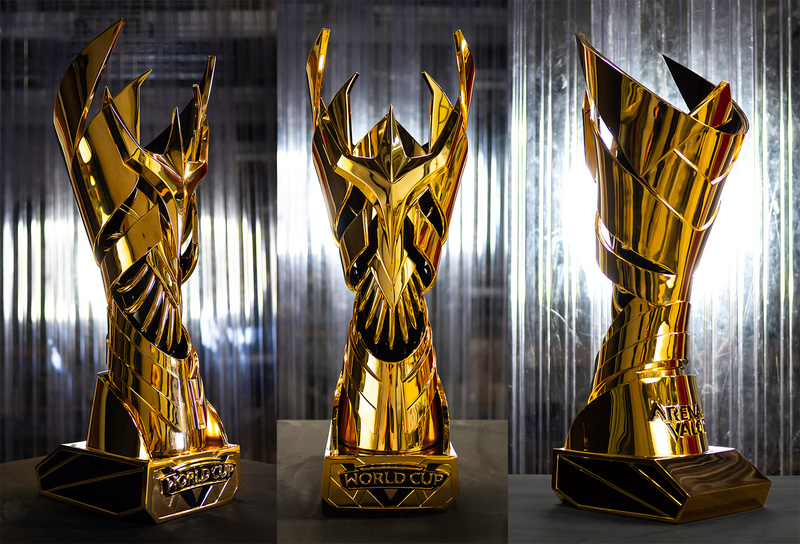 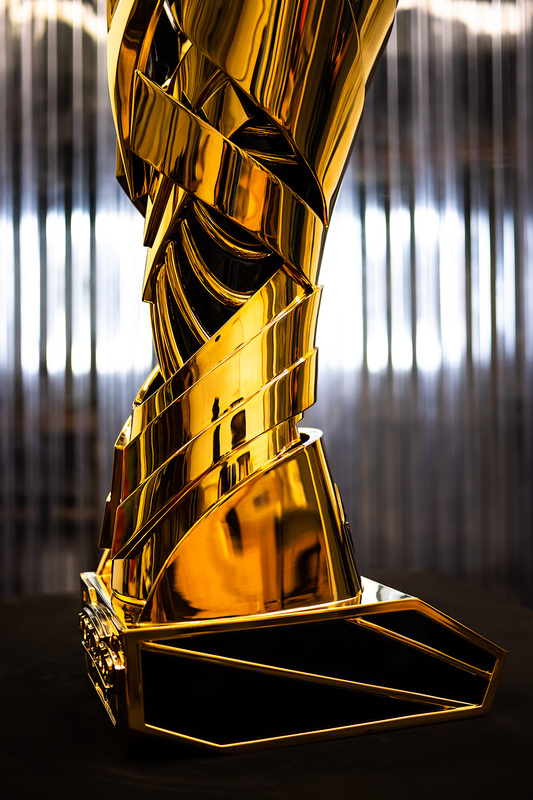 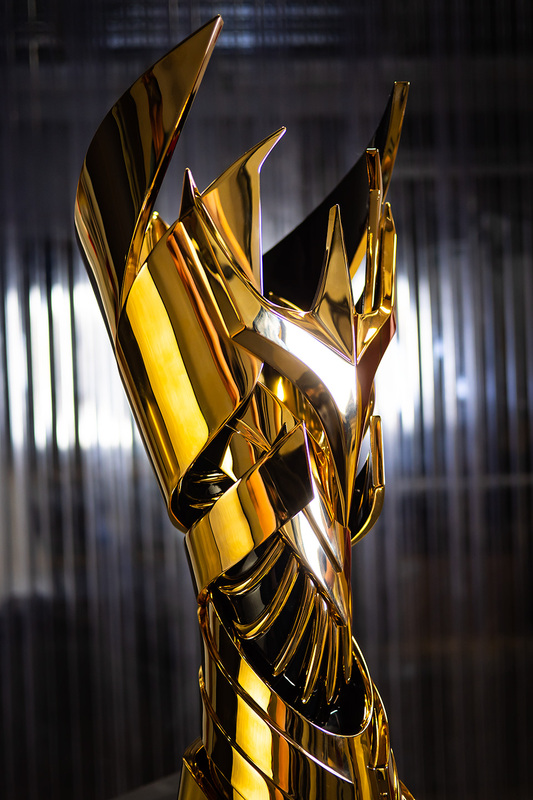 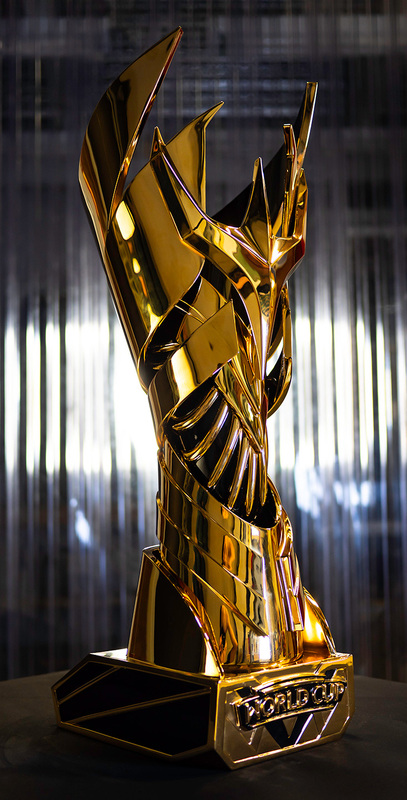 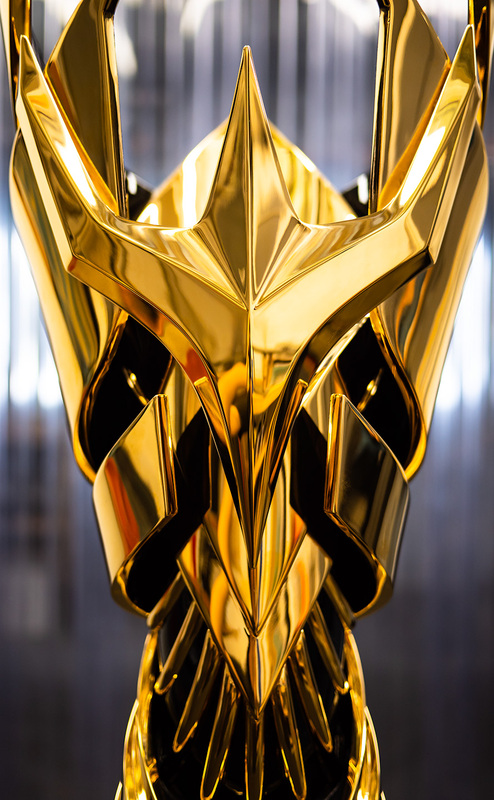 For the inaugural Arena of Valor US World Championship, our client requested a trophy to best represent the grandeur of the 2018 event and the game itself. 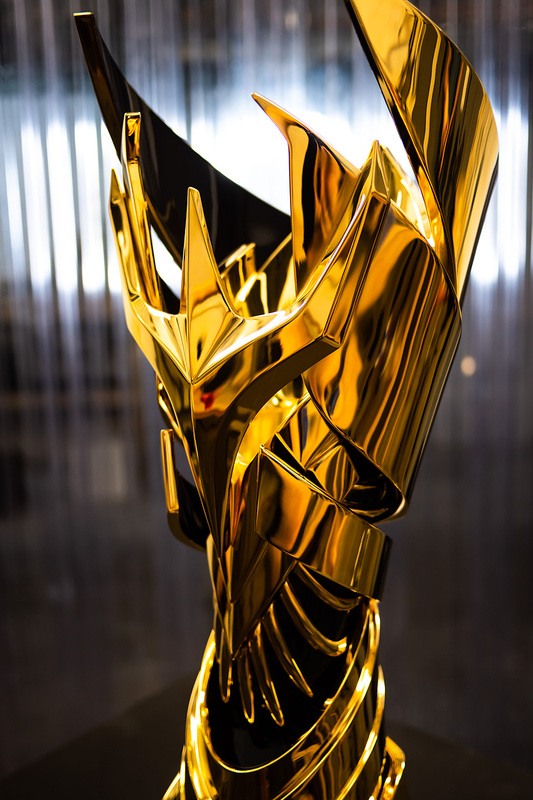 The finished design is comprised of 9 individually sculpted and cast components, each plated in 24k gold before masking for gloss black paint to accent areas of negative space. 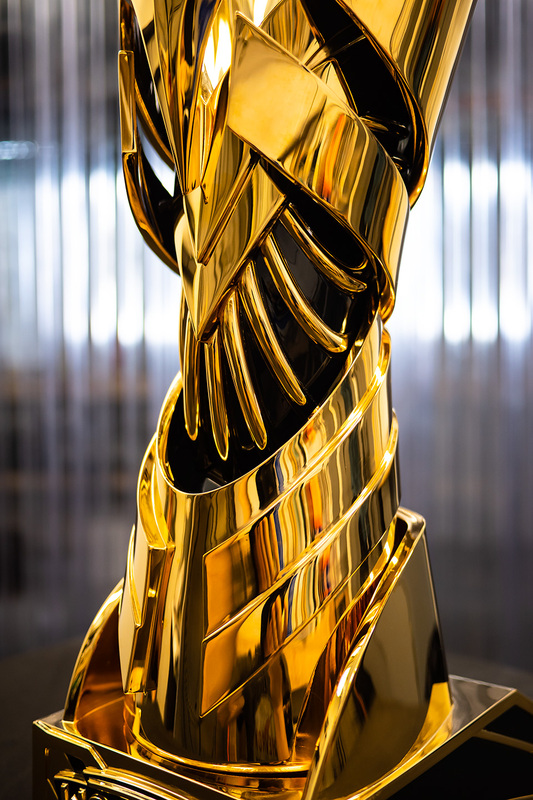 These pieces are held together with an array of reinforcing steel pins, allowing the trophy to look delicate and spindly while maintaining maximum rigidity for the jubilant end game winner’s celebration. 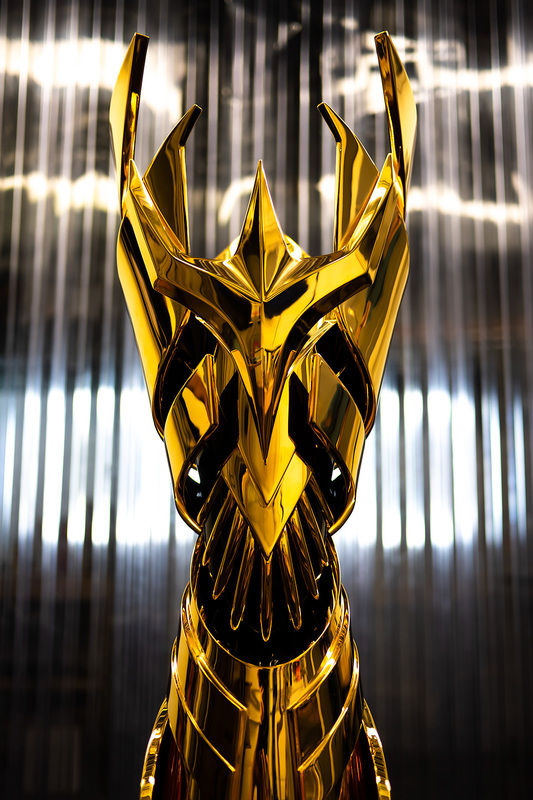 This trophy was designed by Nick Fair Design and digitally sculpted by Wooden Leg Studios. 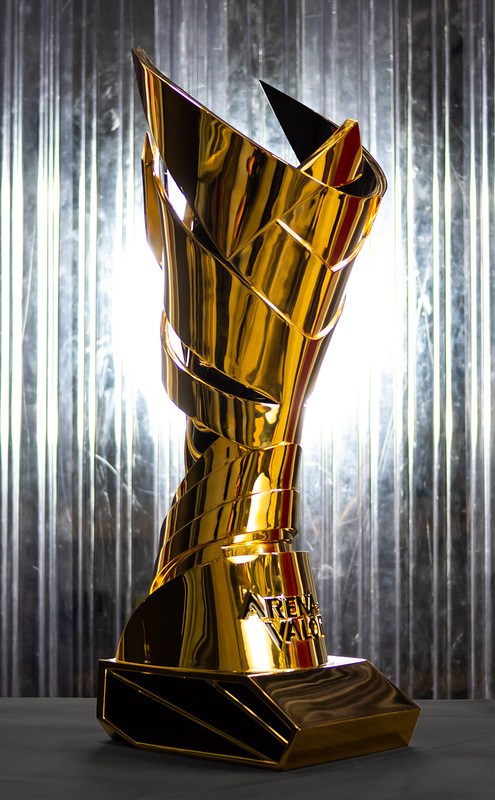 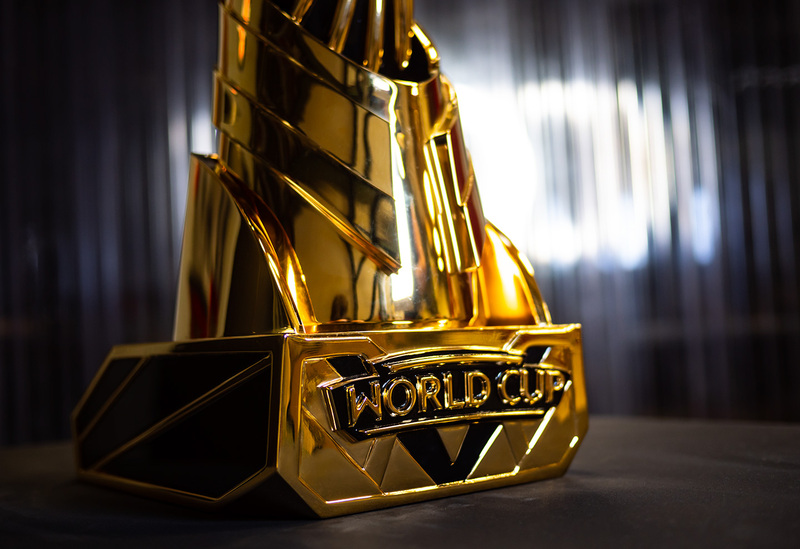 The AoV World Cup sits 24″ tall and tips the scales at just under 20lbs!